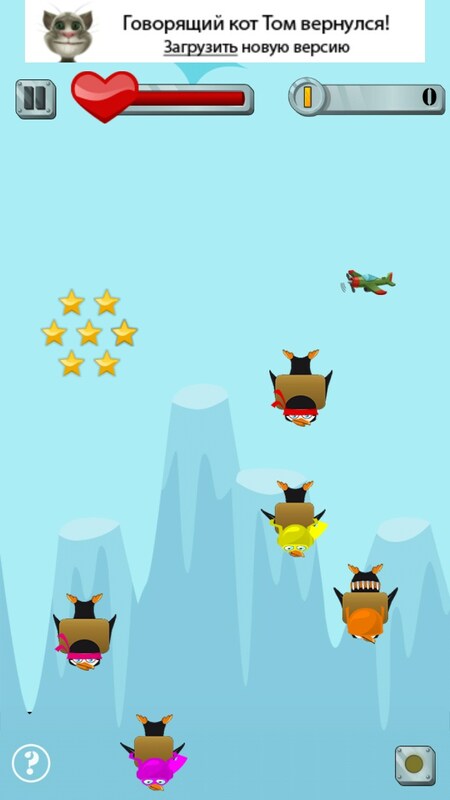 Penguin Airborne – Games for Android 2018 – Free download. 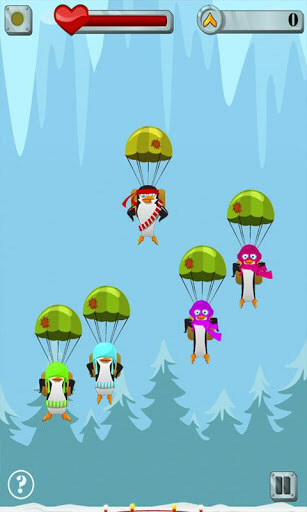 Penguin Airborne – The troop train penguins art. 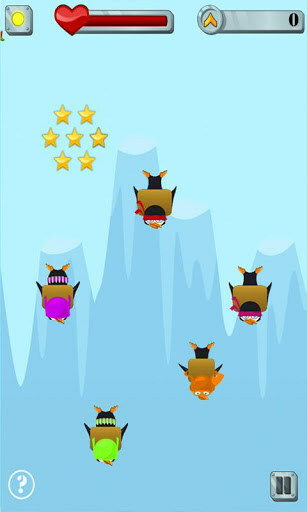 Penguin Airborne - is a fun and very easy to learn arcade for smartphones and tablets on Android, in which we teach the young penguin amphibious art. Training will take place in a competitive form, and together with us to parachute four more will be our friends. Engaged in developing a game studio Noodlecake, which we know from popular games such as Pumped: BMX Free and League Of Evil . The company has always been able to create a very good and interesting arcade, where the emphasis has always been placed on the mechanics and gaming experience, this rate was also made for it. The entire game takes place in the mode of competition at different levels of complexity, all of them are 5 pieces, ranging from the ordinary and general finishing. 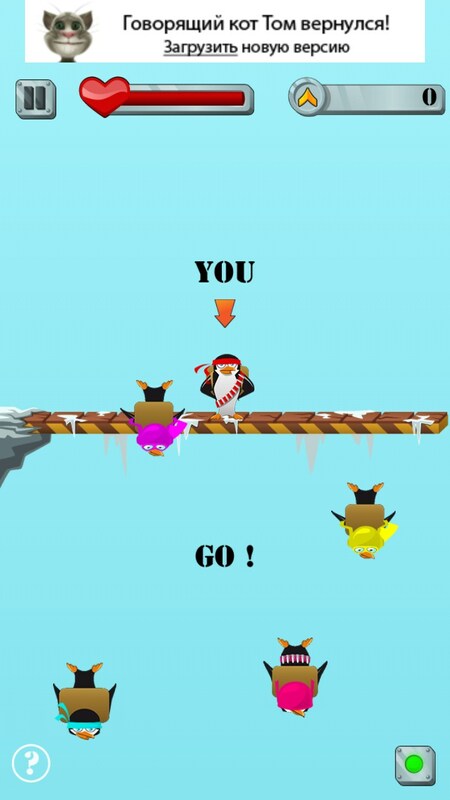 Our task in the Penguin Airborne - to take first place in the competition, which means that you never have to come to the land of the last, as the deadline is just flying out of the game under the influence of an enemy bomb. 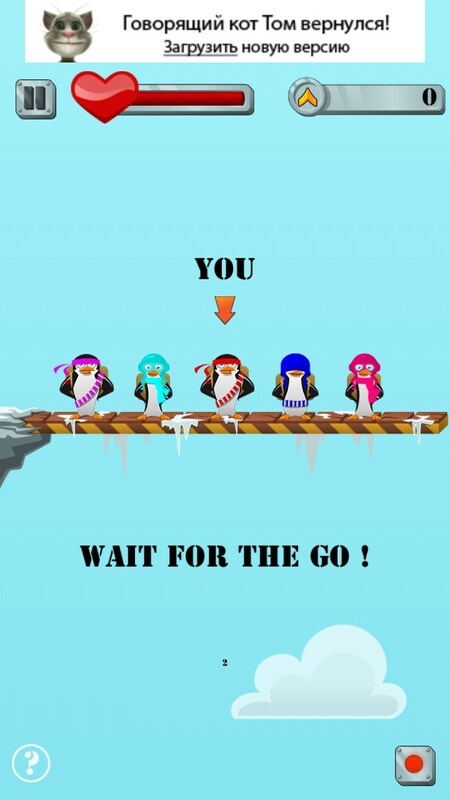 In order to make the leap from heaven to earth, wait count, and then quickly tap the screen to jump as our penguin covered with a layer of ice, fear and terror that must be broken finger. 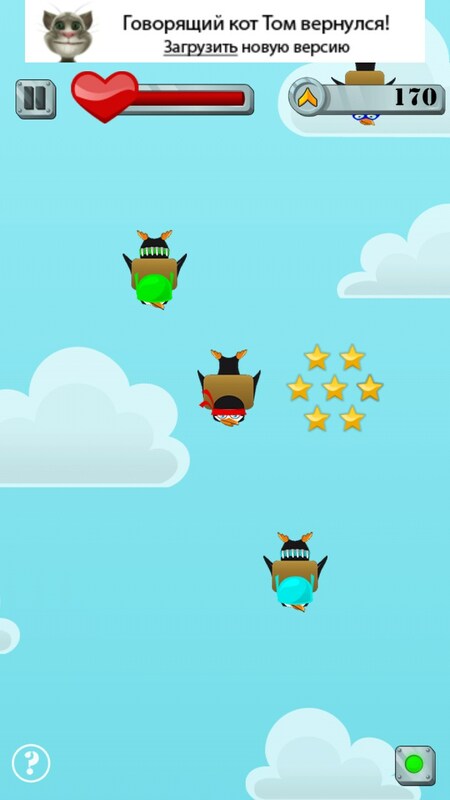 During the flight, we should try to collect as many gold coins, it is necessary to tilt the device left or right. As soon as you approach the ground, you will hear a special sound, signaling that it was time to open the parachute. Our task - to open it as close to the ground, but at the same time so that there is sufficient distance to slow down, or else we'll crash, or lose some lives. Who will come to earth last, takes off from the game, and the rest of the penguins go upstairs and start the next round. In general, this is the whole game is quite simple and primitive, but it is able to divert some of your time. Simple idea and successful implementation. Apparent deficiencies in the game there, but there is still a bit of disappointment, so very simply done, especially for such a famous developer, as Noodlecake. Perhaps this is the worst of their game, though, when considered separately, it is a fun arcade game. Summary. Penguin Airborne - is a fun and cool arcade on Android, which is ideal to play in traffic or waiting for a few minutes. Perhaps the game would be much more interesting if it was multiplayer.